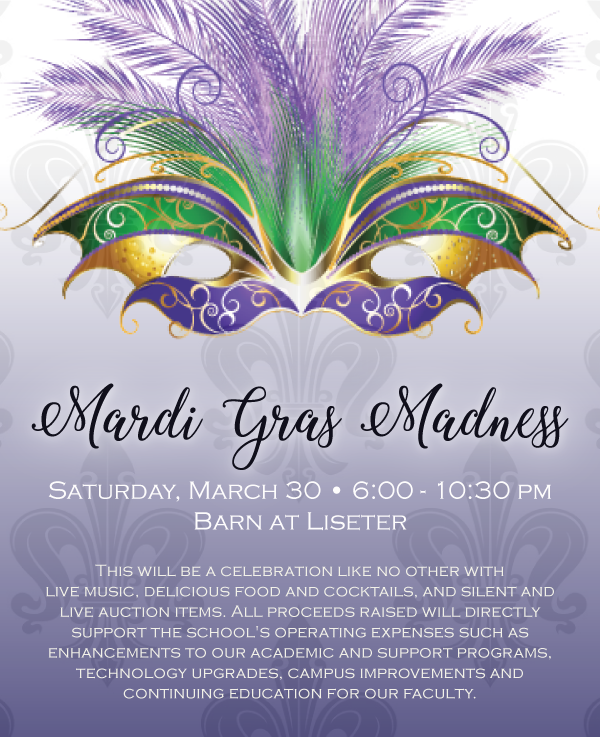 Saint Norbert > Events > SNS 2019 Fundraiser – Mardi Gras Madness! SNS 2019 Fundraiser – Mardi Gras Madness! 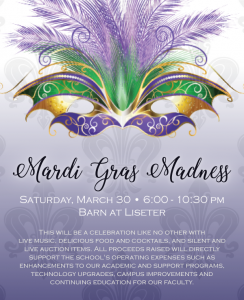 Join Us for the Biggest Fundraiser of the Year – Mardis Gras Madness! Here’s your chance to be a class hero! Your $25 purchase will help complete a class bead necklace for each of your children’s classes. The class with the highest participation wins a dress down day AND A KING CAKE PARTY! Beads are sold per family. For example, if you have three children, each child gets a bead for their class necklace with your $25 purchase. 100 Golden Fleur De Lis’ will be sold for $100 each. The lucky fleur de lis wins you FIRST PICK of a LIVE AUCTION item. ONLY 100 WILL BE SOLD! This two game block pool will be for the Elite 8 games for the south and west regions of the tournament. 100 blocks for each game will be sold. Each square will be sold for $25 for a total of $2,500 for Block Pool Game 1, and $2,500 for Block Pool Game 2. For each pool, half of the proceeds will go to St. Norbert’s and the other half will be used to payout winners. After all of the squares have been sold, the numbers will be randomly assigned for each game. A different set of numbers will be picked for each pool. Numbers will be picked for the Home Team (white jerseys) between 0-9 and Away Team (dark jerseys) between 0-9. The last digits of the halftime score and the final score of each game will be used to determine the winning squares. There will be two winners for each block pool. One of the most important parts of this fundraiser is the auction items. Would you please consider helping by selecting some items on the Sign Up Genius link below to acquire for the event? If we all take on some items to have donated to our cause, we can make this the best year yet on behalf of our children!